Need an idea for a unique and special handmade baby gift? 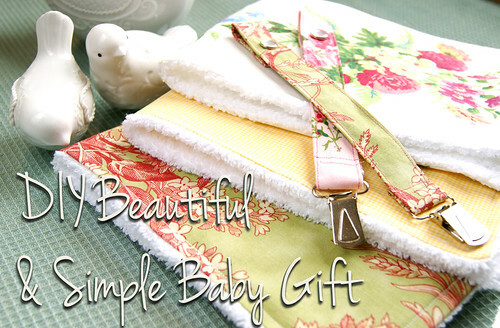 I recently found the perfect gift set that is easy to make, fairly inexpensive, and completely practical for a new baby: a set of plush, patterned burp cloths and coordinating pacifier leashes. 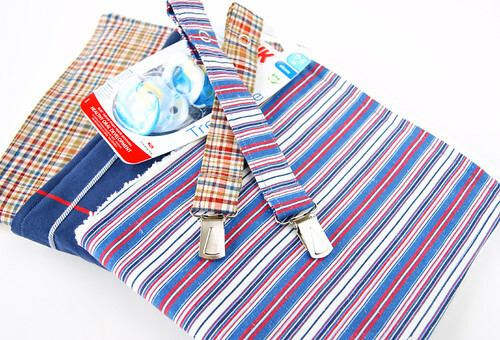 The patterned cotton fabric is backed with a soft, fluffy (and absorbent) terrycloth towel on the reverse side. Not only is it a comfy surface for baby to rest against, but it is handy to wipe up the inevitable messes! And having a leash for the pacifier, to prevent it falling to the dirty floor is essential, so why not make a stylish one for the little tyke? This is a picture of one of the sets that I made. I used 100% cotton fabric, and cut up a full-size terrycloth bath towel for the burp cloths. The same fabric was used for the leashes, and I purchased the suspender clips and snap sets from the notions department of my local craft store. How to Set a Snap (video) by What The Craft? I have a plastic snap setter, not snap-setting pliers, so I found the video to be the most helpful to learn how to set snaps. As you can see, I've been busy making these for both baby girls and baby boys! I had fun making these! What is your favorite baby gift to make?